Robie lives in the Midway Atoll with her family, but often goes to stay with her aunt in Honolulu. One summer, her aunt is called away unexpectedly and Robie decides to take the shuttle plane home to her parents. The phones are out so she cannot call her parents and tell them she is coming and in the commotion she forgets to get weighed before her and her bags climb aboard the plane. A major storm knocks out one of the engines and the plane goes down. 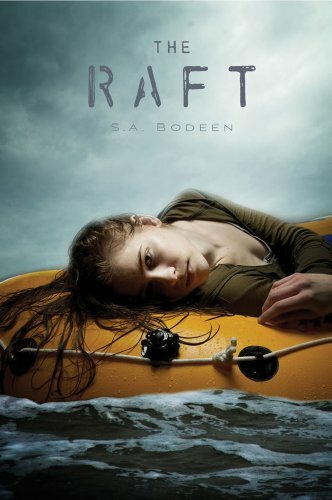 Robie ends up struggling to survive in the middle of the ocean with only a raft and a few supplies. Can she survive out there by herself? Will anyone come to look for her? This survival story realistically portrays exactly what it would be like to be drifting on a raft for days including symptoms of dehydration, starvation, and environmental dangers. The details of the region including geography, animal life, and weather are all perfectly accurate which helps this story to feel even more realistic. The story itself is very exciting and moves quickly so it is recommended for reluctant readers.